I placed a small order with Lasting Scent Candles back in January. Most of these are repurchases and I will not be going into their scent in any great depth since I have in the past. Some that are new to me I will, though. I purchased 2 ounce scent shots for $2.65 each. Shipping is a flat rate of $9.75. Pam hustled hard through some sickness to get these out to her customers. Her hard work and diligence are appreciated. I hope she is enjoying a much needed rest right now. Sweet Kisses, divine cakes covered in frosting and sweet kisses, a slightly ambiguous description but I love it. It is a heavy hitting vanilla scent with a touch of richness from a caramel tone. Love it. Cream Filled is a fried donut filled with lemon cream and topped with powdered sugar. It is seriously one amazing smelling lemon bakery scent. Heavier on the tart yet sweet lemon curd but with enough donut to know it is a baked good. I melted half of a 2 ounce scent shot in the kitchen and it threw medium-strong. I wanted to eat it. 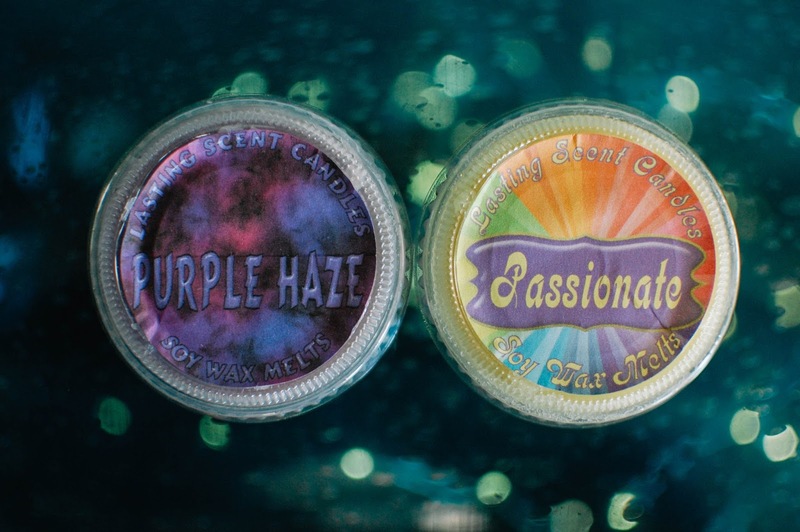 Purple Haze combines Mint Mallow Creme and lavender buds. Purple Haze was a new one for this opening. And it does not disappoint. 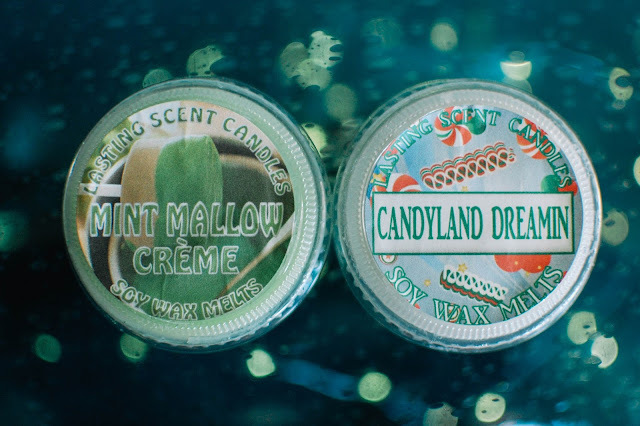 Mint Mallow Creme is a strong throwing creamy spearmint scent, add in some of LSC's incredibly lovely herbal lavender buds and I am sold. Passionate smells fantastic! A lavender patchouli blend that is sweet, honeyed and refined. Passionate folds in orange blossom, sandalwood, sweet neroli, agave nectar and woods with the lavender and patchouli to create an elegant scent that is perfect for the bedroom or even a sophisticated home atmosphere. I normally get a nice throw from this one. 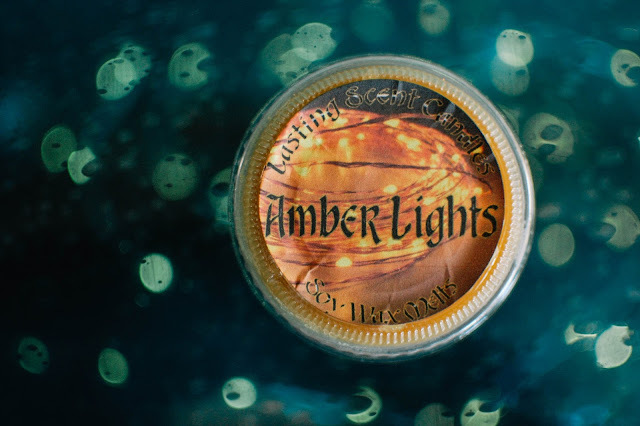 Amber Lights is another new one at this opening. It is a golden amber and vanilla cream blend. I got one of each this time but two of this scent. It is more amber than vanilla for sure but enough vanilla to round of some of amber's sharper edges. It smells a little musky, a little incense and a little woody and immensely beautiful. I hope this one comes back. Fire Roasted Strawberry, yet another newbie, takes strawberries dips them in marshmallow goo and roasts them over a campfire. How could I not want to try that? 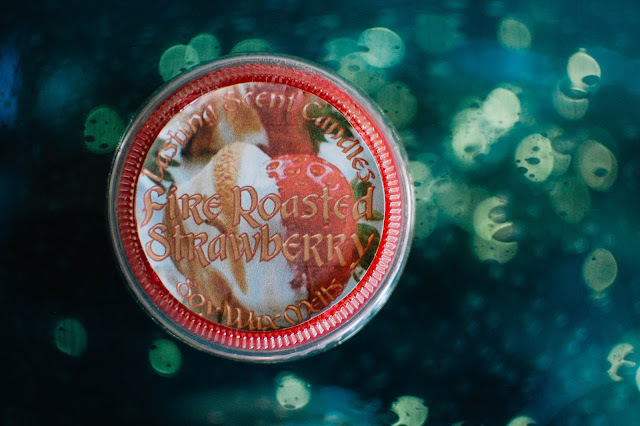 On first sniff it is mostly ultra sweet and sassy strawberries but further inhaling reveals those pillows of toasted marshmallow. I don't get much campfire on cold but that may come forth more when melted. Blackberry Ren Ten is a tall glass of iced tea brimming with blackberry syrup and slices of candied plums floating on top. It is tart and dark and the tea pulls through nicely. There is a slight juicy grape tone to the blackberries and plums and I love it. Realistic and delectable. 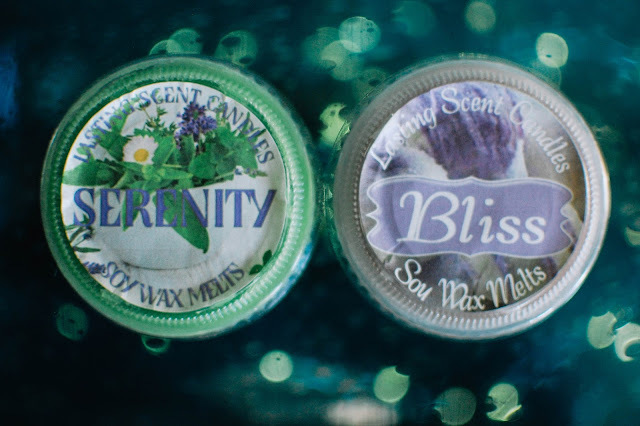 Serenity twines lavender and Green Mint Confetti (not sure what all is in that but it smells less creamy and more candied than Mint Mallow Creme with that spearmint twist). 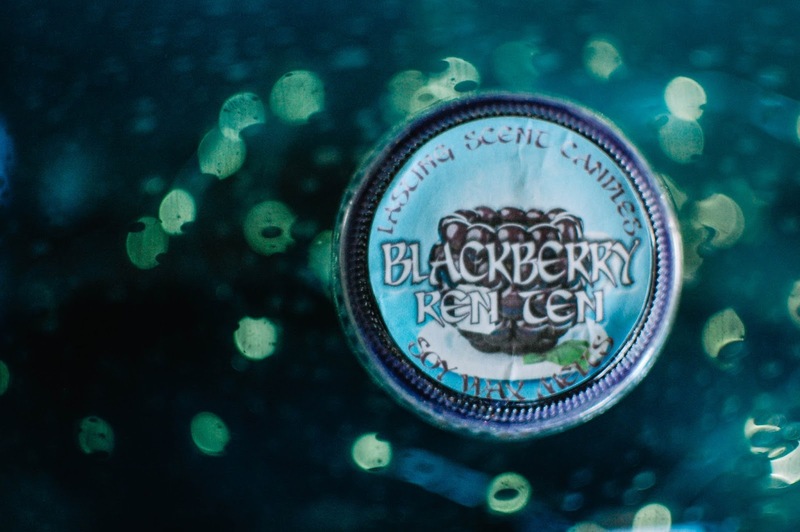 Overall Serenity has a similar vibe as Purple Haze but more sweet and sugary and less herbal to my nose. It is lovely and I picked it up in the Aroma Mist too. Bliss is an old time favorite of wedding cake, vanilla cream and a small smattering of lavender. A repurchase every time. 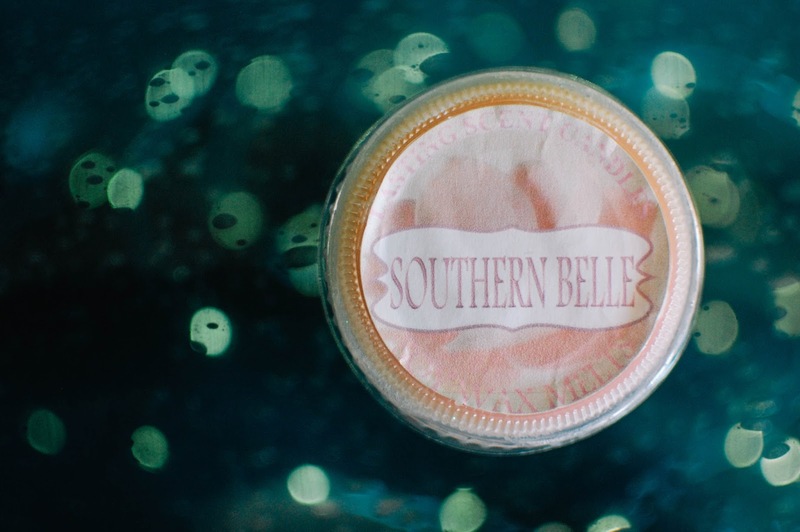 Southern Belle takes LSC's decadent wedding cake and tops it with sugared white flowers. The effect is very subtle and smells incredible. Mostly dense moist vanilla cake with just a teeny hint of peonies and delicate florals. Love! 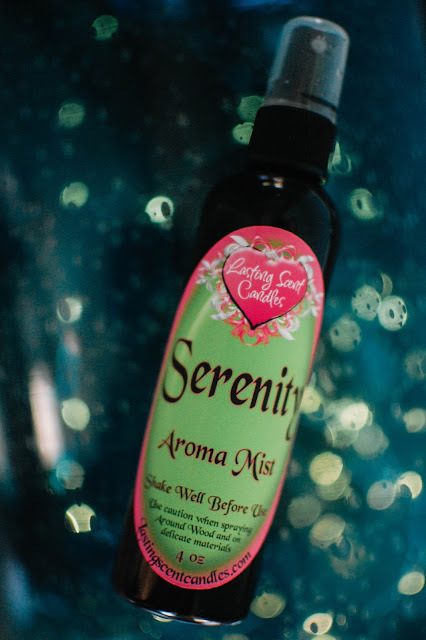 Serenity Aroma Mist is $6.75 each and lasts a very long time. We use Savanna's Aroma Mist every other night and it is still going strong months and months later. This one will be for my vehicle. The scent is strong and one pump will last hours in a small space. Mint Mallow Creme, an ultra creamy spearmint delight. Almost creme de menthe in feel. Candyland Dreamin' is another one a adore. Lavender and mint and sweetness. I melted it before bed the other night and it threw medium-strong. Did you pre-order any Lasting Scent Candles? What are your faves? Are you going to try and get in on the RTS from this pre-sale? Those loaves look soooo gooood! Those little cups are so ding dang adorable, I love them. 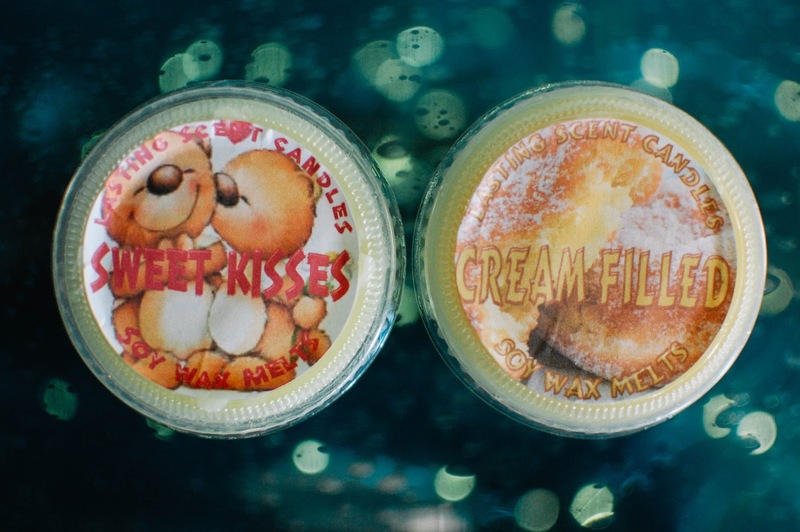 I passed on this order because Cream Filled (and Cranberry Balsam) were the only scents that really appealed to me, and that seemed like a bit of a wee order, but hmm, should I have passed?! Super cute. :) Enjoy your goodies. They are! I really enjoy Pam's labels and design. They are like little pots of candy. Darn! I wish I would have known that or I would have saved half the Cream Filled for you to try. If it is a wee order I would pass. The almost $10 shipping is a bit much for small orders. I always feel like I need to at least grab $10-$20 worth or tarts to place an order. Thank you! Oh pooh!!! Sorry yours did not pan out. Weird yours did not have a packing slip as mine always do. I would not hesitate to email Pam. She is great about customer service. Bummed to hear Amber Lights wasn't a fave. I would have pegged you for it. Too musky clean?